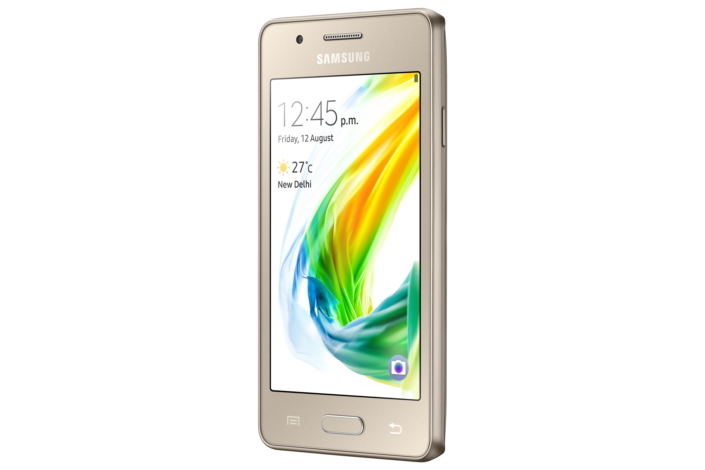 Samsung India today launched its first 4G enabled Tizen-powered smartphone, Samsung Z2. Built on the Tizen platform, Samsung Z2 caters to the requirements of new smartphone users transitioning from a feature phone. Driven by the success of Z1 and Z3, and taking forward the smart, fun and simple attributes of Tizen platform, Samsung Z2 has been customised to offer unique value to the Indian consumers. The device comes with powerful specifications, pre-loaded essential apps and Samsung’s popular ‘Make for India’ features such as the Ultra Data Saving mode, S bike mode and the new My Money Transfer, to drive smartphone adoption. The user interface on Samsung Z2 is simple and easy to use, offering faster and smoother device performance when combined with the Tizen platform. Powered by a 1.5GHz Quad-core processor, 1GB RAM and 8GB internal memory expandable up to 128GB with a microSD card, the device features dual SIM support and delivers a seamless and user-friendly smartphone experience. The device is fueled by a 1500mAh long-lasting battery, which is further boosted by the unique ‘Ultra Power Saving mode’, which keeps the phone operational, even at minimal battery levels. As part of the partnership with Jio, Samsung sets a new standard in the mobile entertainment space by offering users with a wide range of free entertainment content to cater to the increasing consumer demand for streaming and on-the-go entertainment. For music lovers, Samsung Z2 consumers will have access to Jio Beats, which offers millions of HD songs in over 20 languages. The video streaming app, Jio On Demand, gives access to latest movies, TV shows and other video content across genres and languages. Samsung Z2 is equipped with a superior 4” WVGA screen which allows consumers to enjoy games, videos and other multimedia content to the fullest with superior resolution. The smartphone is equipped with a 5 megapixel rear camera with LED flash and a VGA front camera. Samsung Z2 gives an effortless mobile experience with Tizen OS and clutter free, intuitive interface making it easy to understand and use. It comes preloaded with essential apps for the ease of new smartphone users. It also features the ‘Make for India’ features developed specifically for Indian consumers. The Ultra Data Saving mode saves up to 40% mobile data by blocking unnecessary background applications from data consumption and by data compression technology, hence ensuring the most simple and cost-efficient 4G experience. Samsung Z2 comes with a dedicated S bike mode, which is designed considering the safety concerns of two-wheeler users in India. It lets consumers ride tension free while encouraging responsible riding. Samsung Z2 is equipped with a built-in app that enables users to easily manage transactions and generate mini bank statements. A first of its kind initiative, users can enjoy convenient internet free banking by simply using the unique MMID which can be linked to the registered smartphone through M Pin set by the user. Money transfer to/from popular private and public banks is supported using standard IMPS. Samsung Z2 has been priced at INR 4,590 and will be available in India from August 29, 2016, in three attractive colours – Gold, Black and Wine Red – across mobile phone retail stores. For online consumers, the device is also available through our online partner Paytm exclusively. To know more about Z2 please visit: http://www.samsung.com/in/microsite/z2.